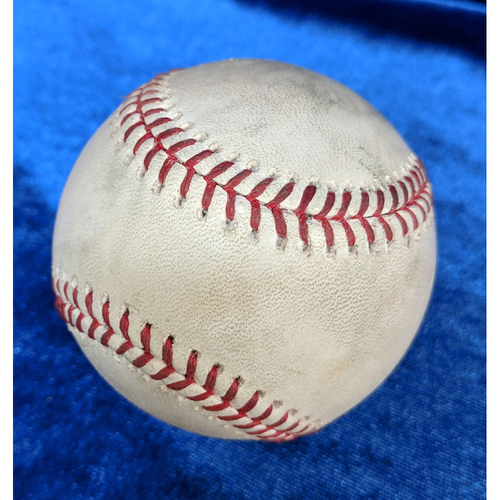 This Ball was used during the July 29th 2018 game at Angel Stadium against the Seattle Mariners. This Ball was 1st pitched to Mike Trout for a ball 4 walk from Nick Vincent in the Bottom of the 7th inning. This would advance David Fletcher to 2nd base and Vincent would use this same ball to pitch to Justin Upton would hit it for a sharp ground ball single scoring David Fletcher and advancing Mike Trout to 3rd base.